If you have different products in a single campaign or ad group - you are setting yourself up for failure. Amazon's Search Term Reports only tell you keyword data by ad group and not product. If you have different products in a campaign or ad group - it will be hard to figure out which keywords work or don't work for your products. 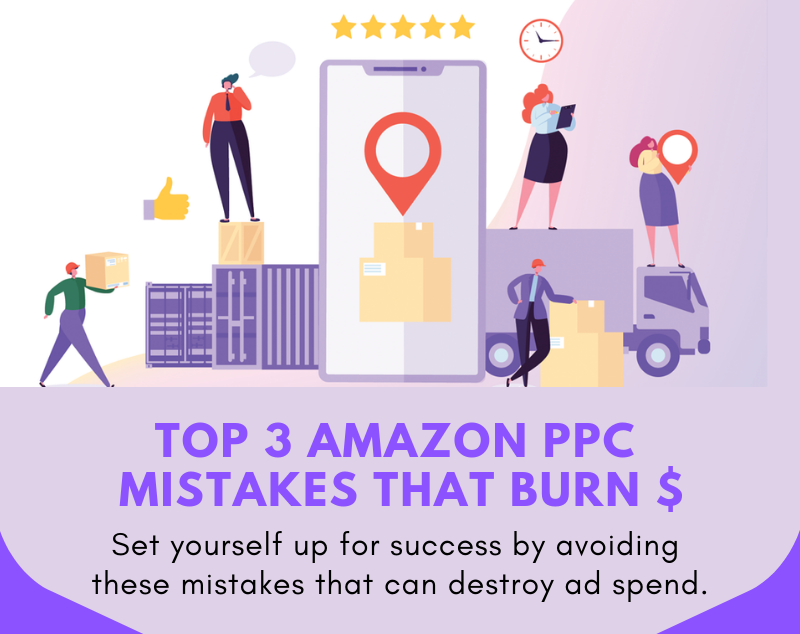 This makes managing and optimizing your PPC campaigns even more difficult and it's the best way to set your Amazon advertising up for failure. Running PPC for an unoptimized listing is the next easiest way to burn money on Amazon. If your listing is not converting organically, it will not convert no matter how much $ you throw at it. If your Amazon PPC costs are too high, double check your conversion rates. If you optimize your listing and increase your conversion rate, your Amazon PPC should be much more affordable. If you manage your Amazon PPC only through the online dashboard, you are missing out on hundreds or thousands of customer search terms. You can have multiple different search terms per keyword. The key to optimizing your Amazon PPC performance is to identify and prioritize the best search terms and negative exact match the worst. You can't do this if you ignore the most important report for Amazon PPC.